This week, Ray is dealing with his break up from last week, while J.J. makes a friend, and Kenneth helps Jimmy show the family's dog that he is in charge. J.J. wants to go to a movie with a person from one of his classes, but he is worried about seeming like he's a lot of trouble because of his special needs and how they create challenges. So, Dylan goes with him to try to help. Dylan is enjoyable as she tries to make the theater they go to work for them, and as she pretends that a lot of the problems they encounter are due to her. Dylan is a great supportive sister, and she's just as entertaining being supportive to J.J. as she is when she is being mean to Ray. There's also a really funny moment when J.J. prepares to go off the edge of a curb: "If I die, tell Ray he's a dork." When the rain stops his wheelchair, J.J. tells his friend to go on without him, and Dylan helps him realize that he limits himself. The reunion of the two friends is really sweet, and they spend a great moment together at the end, as they watch the credits of the movie. Ray is miserable since Taylor broke up with him. It's funny as his family helps him get ready for when she comes by the house to get her sweatshirt. 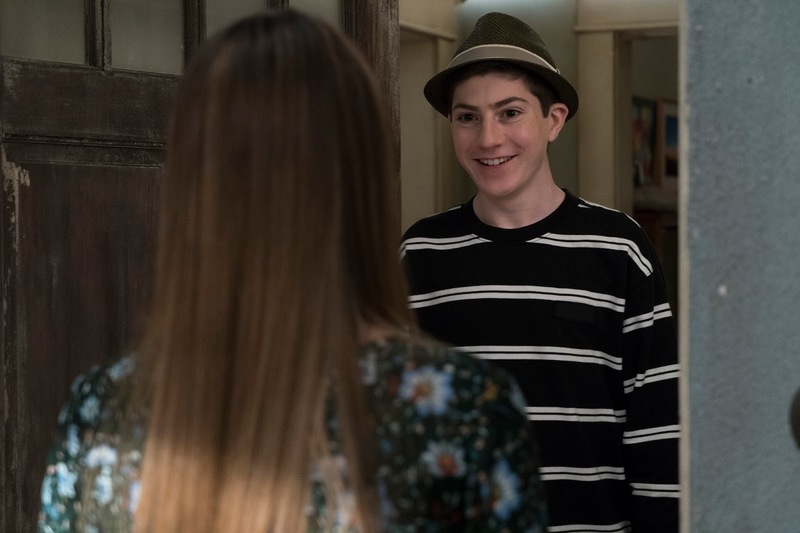 Maya finally decides it is time for Ray to get out of the house, so they spend the day together, but then Ray comes up with a plan to win Taylor back. Maya catches on, and it is really funny as she stops his plan, and she has a hilarious moment where she tries to introduce a girl to Ray. 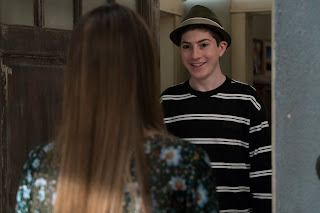 When Ray and Maya talk about what happened, Ray explains how he is different from her, and Maya decides that she will help Ray, despite how much she dislikes his plans. In the end, Ray gets an emotional reaction out of Taylor, which Ray and Maya celebrate. Minnie Driver is hilarious throughout all of this, especially as Maya pretends she wasn't part of Ray's plan. When Jimmy sees how the family dog listens to Kenneth, but not him, the two work to establish Jimmy as the alpha. There are some funny moments here, especially when Jimmy has Kenneth get the paper, and Kenneth tells the guy to put it in his mouth. In the end, the reason that Jimmy is really upset is revealed: he feels like Kenneth has taken his place as J.J's go-to person. It's not that surprising of a place for the story to go, it's fairly typical for a sitcom, but the journey there is entertaining, and the show does a great job with the sincere ending. This was a strong episode. All three plots where thoroughly entertaining, causing the half-hour to fly by with a lot of laughs along the way. J.J. and Dylan had the best story of the night, I really enjoyed it. What did you think of "U-N-UNFORGETTABLE P-A-PAIN"? Leave your thoughts in the comments!